One of the most confusing things about applying for visas is the questions in the application and the evidence. What on earth do they expect you to answer and provide!? As it’s such a stressful process I wanted to make sure I could share on the information I entered on my UK Ancestry Visa. I have taken out the obvious questions in the application and detailed the ones I think will be most beneficial and the supporting evidence. If you have tips or tricks make sure you let me know in the comments below so we can help out more people being sucessful in their applications! For more information about the visa process check out ‘What You Need to Know When Applying for Your UK Ancestry Visa’. To apply you need to sign-up to the Visa4UK website, once you’ve signed you will be able to use the account for any visa application or to go back to applications in progress. I’ve had a lot of questions about whether you should use VFS Global or were they come into the process. VFS Global is just like using a visa service such as VisaFirst and 1stContact. I actually used VFS Global for my Russian visa as they run a few services for different countries. If you wish to go with a visa service to submit your application then they are a company you could choose to use. VFS Global do run some of the visa application centres (as a contracted third party) and that’s mainly where they come into the process. This is where you do your biometrics appointment and get your application stamped. Register an account ASAP. You will be able to see the latest questions! Plus there is an ability to delete your application so you can just start afresh when you are ready to apply. When you select apply for myself it will ask for your main details and the visa type you would like to apply for, in the photo below are the details you need to enter. Once you have completed that section you will be presented with a summary screen, to see the questions select ‘go to application’. You don’t need to complete each section in order to see the other sections. There is that delete button I was mentioning above :). Let’s go through the questions! I have put this in order of the sections within the online application and then added photos from my final application. You will notice that not all questions/answers end on the final application or in the same order so hopefully it all makes sense. The Passport and Travel Information section is basically noting down what is stated in your passport or travel document so I won’t break this section down to much. Is this your first Passport? My answer was no. Then you need to enter your details of all other passports and travel documents held over the last 10years: Also state any non-documented nationalities you have held. I previous had a child’s passport so I entered these details and also submitted this passport along with my application as evidence. Are you travelling with anyone? I put no for this answer as I was moving here by myself. How long do you intend to stay in the UK? I put 5 years for this answer (the length of the visa). What is the main address and contact details of where you will be staying whilst in the UK? I put the hostel that I would be staying at when I first arrived. Other options is hotel, Airbnb, friends or family etc. Example of the travel dates and purpose of travel section. 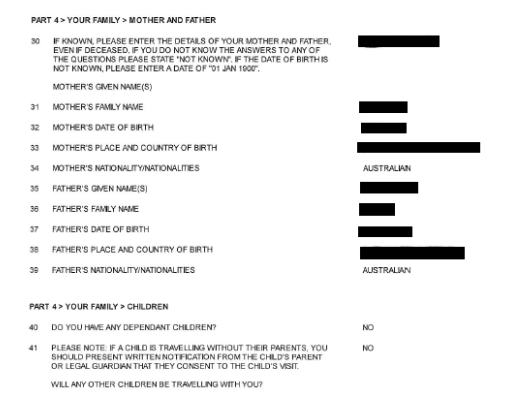 The passport information summary on the application. Personal details covers information like where you live, how long you have lived there and general information. The interesting section is where it covers your travel and criminal history, let’s begin! Date of Expiry – Date of Expiry as stated in the passport or travel document. If the passport ortravel document has no date of expiry please enter 01 JAN 2050. Have you ever travelled to the UK in the last 10 years? The one and only trip (technically two entries) I had to the UK was detailed here. You can put up to 5 trips you have had to the UK. I suggest putting latest to oldest dates (just my preference). 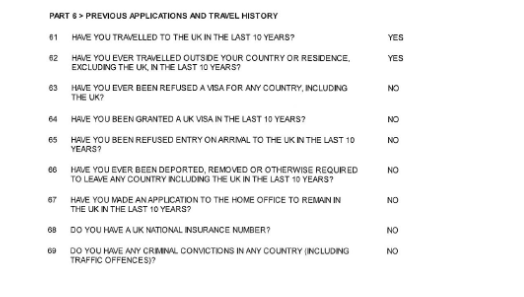 Have you made an application to the Home Office to remain in the UK in the last 10 years? I put no for this answer. Unless you have requested for Settlement or any visa like that then you answer will be no. The application then goes into whether you have be refused entry, deported, elected to leave the UK and any other country. Hopefully you will be able answer no to all these questions. Have you ever travelled outside your country of residence, excluding the UK, in the last 10years? I listed out all my trips, this needs to be as arcuate as possible. For my most recent application I was given 30 lines however it was a different visa but expect to have between 10 to 30 lines in the application to enter this. Again using the latest to oldest trip order. If you feel like it you can add a spreadsheet detailing your remaining trips but I didn’t provide a spreadsheet with my application Ancestry application. Have you ever been issued with a UK National Insurance Number? E.g. QQ 123456A Unless you have lived in the UK previously you won’t have a National Insurance Number. If you curious to know more about National Insurance Number I have detailed everything in this article. The application then goes into criminal records, whether you are a terrorist and other information around your criminal history. Family details is about your mother and father, your relationship status and whether you have children. This section should be a breeze. For evidence I only provide my mums birth certificate as my dad isn’t linked to my ancestral heritage to the UK. If the birth certificates can tie your ancestral heritage then shouldn’t need a marriage certificate. If linking the heritage isn’t obvious then marriage certificates are a must. 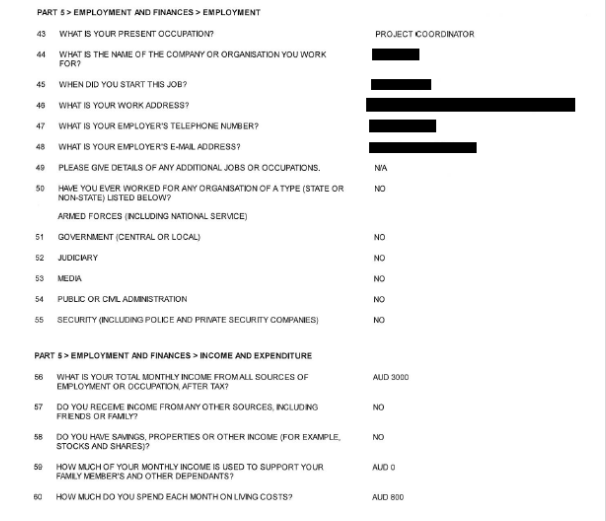 What is your total monthly income from all sources of employment or occupation, after tax? WhenI submitted my application I added what currency I was paid in so my answer was: AUD 3000 (for example). The Type of work undertaken – For this question I just described my field and put IT ProjectManagement. Do you have any additional paid jobs or occupations? If you have any more jobs add them here. For evidence I also provided my employment contract to support the employment section. Do you have savings, properties or other income, for example from stocks and shares? My answer was no as I didn’t have any income streams. If you do add them here. How much do you spend each month in GBP(£) on living costs? I actually put this in AUD and not GBP as it was the thing at the time. It’s just a summary of what you spend on rent, bills etc each month converted into GBP. The questions in the Income and Expenditure section is where people get the most confused. For this sections first, work out the total cost of your trip: flights, hotels, meals, train tickets, everything, in the currencies you’re paying in. Then convert to pounds and calculate the total. Once establish the costs you need to figure out if you are paying for the whole trip or are you getting someone else to support your trip? If someone else is paying then did they buy your plane ticket? Will they be paying for the hotel stay? Are they reimbursing you for what you spend? Convert all that to pounds and add it up. How much of your total monthly income in GBP(£) is given to family members and other dependents? My answer was no but if your parents or anyone is supporting you add the amounts here. What is the cost to you personally of your trip in GBP(£)? I put a combination of my flights, accommodation and expenses for this. If someone is helping you pay for this then only put the amount that you are paying in this section so basically what is this personally costing you. I didn’t provide any evidence for this. The total amount of money you have for this trip? I just put what my total saving was for this answer, for example, AUD 8000. This was supported by bank statements as evidence. If you want to know how much to save before moving to the UK, I suggest reading ‘How Much Money Should I Save to Move to the UK?’. You can through all my suggestions out the window and wing it! In that case just have enough to show you can support yourself, I always recommend £1,890 as a minimum. The cost of the aeroplane, boat or train tickets? Whatever you ticket cost to get to the UK. If you don’t have a ticket then find the most realistic cost by using Skyscanner etc. Slightly ironic that the advice is don’t book you travel before your visa is approved! I didn’t provide any evidence for this. The cost of your accommodation? I calculated my first months accommodation cost for this answer. I didn’t provide any evidence for this. The cost of your living expenses? I estimated this cost, for example, £600. It should cover things like transport, estimated food budget etc. It’s a bit of an odd question. I didn’t provide any evidence for this. If you want to know the cost of living in London I have you covered! It’s based on my costs living here. Is someone other than you paying for all or a part of your trip? If someone is paying for a part of your trip this is where you add this. I didn’t have any one supporting me but having a statement from the person/ money in your account will help support the application (that’s just my personal opinion). As you can see in Employment and Income section, not all of my questions I had answered actually ended up on the final version. No idea why or whether this has now changed. Please enter details of what you plan to do whilst in the UK. My answer was ‘to live and work in the UK’. Do you have any friends or family in the UK? I didn’t so my answer was no. There is a whole series of questions on whether you have ever received medical treatment in the UK. As someone that never had medical treatment in the UK my answer was no but if you have then put in the relevant information. Finally where you put your heritage and how you qualify for UK Ancestry. How do you qualify for UK ancestry? Add your relevant grandparents details here. I provided my granddad’s birth certificate as proof, along side my mums birth certificate as mentioned in an earlier section. Do you have a job arranged in the UK? You don’t need to have a job lined up to qualify to move to the UK on Ancestry. My answer was no as I didn’t have a job. For evidence I provided my resume. The GOV UK website states that the evidence can be in the form of job offers you’ve received or a business plan if you’re self-employed. What is your English Language ability? English is my native language was my answer. If it isn’t just put the level of English you speak (not exactly sure the terminology you should use). What money is available to pay for your initial expenses such as accommodation and food for yourself and any dependants (if applicable)? My answer was whatever was in my savings account at the time it was just under $8,000. You should add the currency code in front of your answer so the answer should look like AUD 8,000. I also linked this to the same amount I had in the ‘the total amount of money you have for this trip’. For the evidence I provide 3 months of bank statements to support this. The questions in this section have changed a little since I applied, at least it’s less information you need to enter. Is there any other information you wish to be considered as part of your application? I didn’t have any extra evidence so I put no for this. 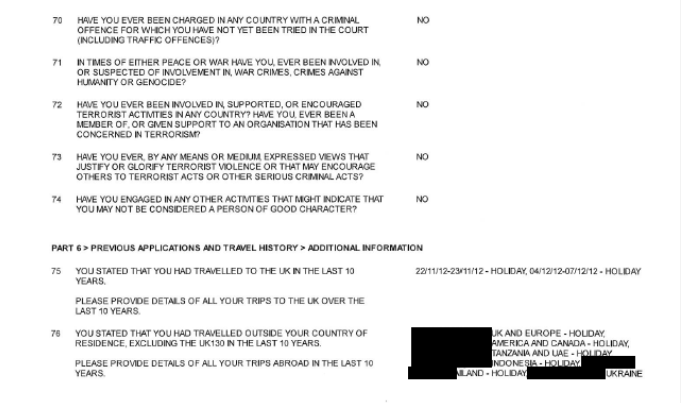 In the bullets below is a summary of all the evidence I provided for my UK Ancestry visa. I go more into detail about how to get grandparents birth certificates and the process in ‘What You Need to Know When Applying for Your UK Ancestry Visa’. I find lots of threads asking whether the documents must be originals or copies can be supplied. Just to add clarity to this point always provide originals to be safe, don’t worry the documents are returned to you. The printout of your online application. The copy of your biometrics appointment information. Current passport, plus previous passports. Three months of bank statements showing £1,600 (which was the requirement at the time). I now recommend aligning your savings with Youth Mobility visa requirements which is £1,890 as there is no detailed requirements for UK Ancestry anymore. Bank statements should be printed on branch-specific letterhead with the contact info for the branch where it was printed. If not, each statement should be stamped and/or signed. If they won’t do that, a letter from a branch manager confirming their authenticity and correctness will suffice. 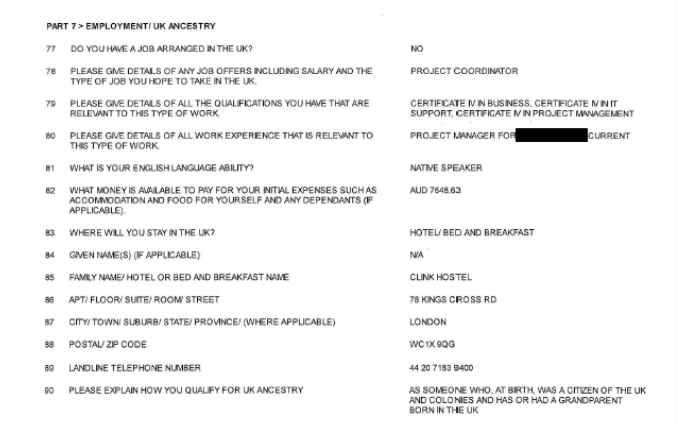 Resume/ CV (to prove that you can and intend to work in the UK) and you can also include printouts of registration emails from UK job sites e.g. Reed, London Jobs, Indeed. I also included my employment contract to support the employment and finances (not sure if it was necessary, just something else I did include). Hopefully that has give you some insight into what information you need for your application. Don’t forget you can register an account and see the latest questions! Plus there is an ability to delete your application so you can just start a fresh when you are ready to apply. This is a great guide, thank you. You talk a lot about adding documents as evidence, I was wondering when/ how you do this? As I’m filling out the questions there isn’t anything asking for evidence, or any fields that will let me upload documents. You take the evidence to the appointment you attend to support the application. You don’t upload them on the system for UK Ancestry. 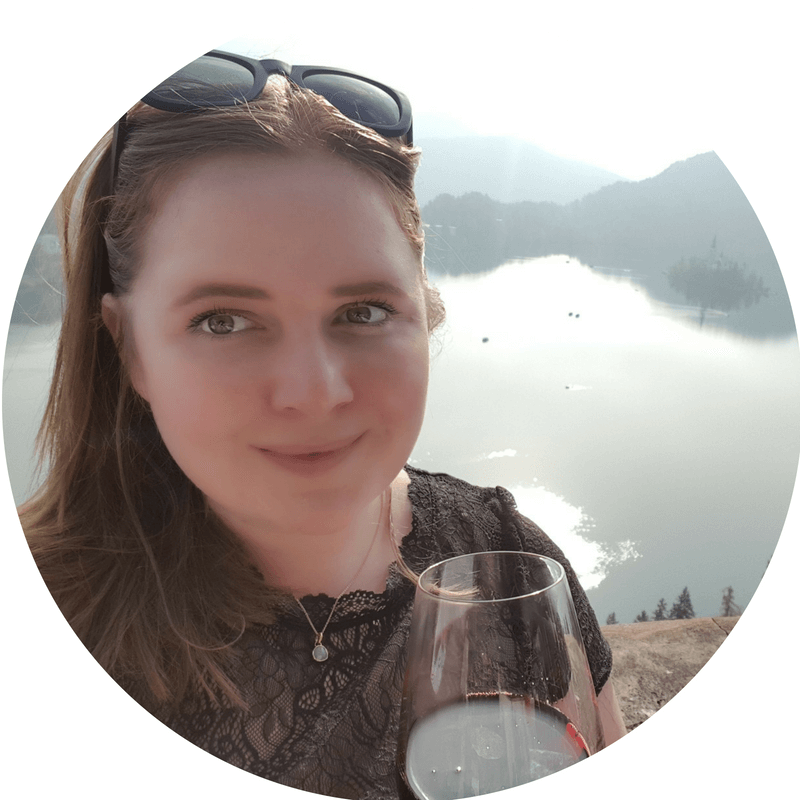 Hi Kat, thank you so much for such great advice, it has really helped me through this process. I have progressed to an appointment for my Biometric Fingerprints etc. I wanted to go through VFS to buy some priority packages, but I can’t identify the Ancestry Visa in their selection of visa type. Did you go through this at all and if so, do you know which type to choose?